Africa is dear to my heart and so of course I stay on the pulse of highly relevant news coming out of the continent. One of the interesting stories this week from the continent is that of Zimbabwe’s First Lady Grace Mugabe who just filed a $15million dollar suit against a Zimbabwean newspaper. The paper essentially ran a story on claims released by Wikileaks that Mrs. Mugabe made “tremendous profits” from the country’s diamond mines. I look forward to discussing a bit more about the suit, but not today. It’s Friday so we keep it light. Keeping it light, I must say I never get tired of stories about lawyers who do other things than practice law. Hmm . . . I wonder why. 🙂 I am totally digging this story by the Wall Street Journal on David Kelly. Kelly is 40years old and a Senior Associate at a Chicago Law Firm during the day. At night, he is a hip-hop artist, a recognizable one at that. Here’s the professional BIO on David Kelly. David J. Kelly concentrates his practice in the areas of mergers and acquisitions, general corporate matters, corporate securities and sports law. Mr. Kelly has provided counsel to a variety of sports teams, including the Chicago White Sox, the Chicago Bulls, the Oakland Athletics, the St. Louis Blues, the Chicago Fire and the Philadelphia Union, regarding television, radio and internet rights agreements, arena/stadium matters, intellectual property issues, and sponsorship and naming rights agreements. In addition, he has also advised clients in corporate transactions such as mergers, acquisitions and tender offers, represented underwriters in public offerings, and provided counsel to public companies with respect to securities law compliance, disclosure requirements and corporate governance matters. During 2009 he was a panelist on “The Real Business of Sports Law” panel at the Northwestern University School of Law. A former Public Interest Law Initiative (“PILI”) fellow, Mr. Kelly is also a member of the board of directors and corporate secretary of the Inner-city Muslim Action Network. 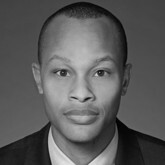 Mr. Kelly earned his Bachelor of Arts degree from Morehouse College in 1996 and his Juris Doctor degree from the University of Illinois College of Law in 2004. He is admitted to practice in Illinois. Now I’ll let WSJ tell his hip-hop story. Hope you all had a great week. Mine was full of MCLE (mandatory continuing legal education) training which I tweeted a bit about on www.twitter.com/uduaklaw. Read Kelly’s story by WSJ’s Ashby Jones, have a great weekend and catch you next week exploring fashion and entertainment legal news and law with me! “A lot of big firm lawyers we know have exactly zero hobbies. Ah, they might do some time on a treadmill a couple times a week or boldly claim that some pricey Cabernet from Napa is better than its cheaper cousin from the Anderson Valley. They might know lines from every Simpsons episode or be able to tell you who the Cubs’ opening-day starter was for the past 30 years. But in terms of real hobbies, productive hobbies — like boat building or quilt-making or crafting children’s mobiles out of stained glass pilfered from church ruins — lawyers aren’t much for it. And, truthfully, who can blame them? Their lives are work and family (and often in that order). More work. More family. More work, work, work.